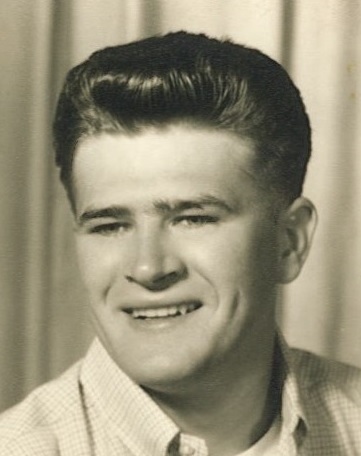 Arnold Lee Peninger, 76, of Salisbury passed away Friday, February 1, 2019. Born in Rowan County on April 1, 1942, he was the son of the late Shirley Lee Peninger and Audrey Carpenter Smith. Arnold was a veteran of the U.S. Navy and was employed by Boral Brick as a kiln operator. He was a member of North Main Baptist Church, an avid bowler, and a fan of the N.Y. Yankees, Dallas Cowboys, and Rowan County American Legion Baseball. Those left to cherish his memory are his wife, Carole Thompson Peninger; sons, Brad (Heather) Peninger of China Grove and Michael (Ernestina) Thompson of Ohio; a daughter, Lori (Mark) Weaver of Salisbury; sisters, Gail (Tommy) Strange and Pat McCurdy both of Salisbury; seven grandchildren and five great-grandchildren. A graveside service will be held at the Salisbury National Cemetery, 501 Statesville Boulevard Salisbury, NC 28144 on Friday, February 8th at 10:00am, officiated by the Rev. Dr. Dale Robertson. Military honors will be conducted by the Lyerly Volunteer Honor Guard. Memorials may be made to Trellis Supportive Care, 301 South Main Street, Suite 105 Salisbury, NC 28144. Lyerly Funeral Home is serving the Peninger family. Online condolences may be made at www.lyerlyfuneralhome.com.